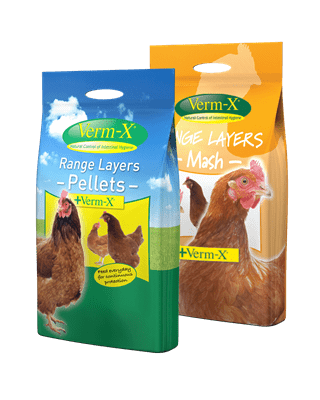 Range Layer Pellets and Mash are complete feeds with the added benefit of award winning Verm-XTM that offers the natural control and daily protection against intestinal challenges. Verm-XTM is an effective formulation for supporting intestinal health during periods of challenge and being 100% herbal you can eat the eggs whilst it is being fed. Feed every day for continuous protection. 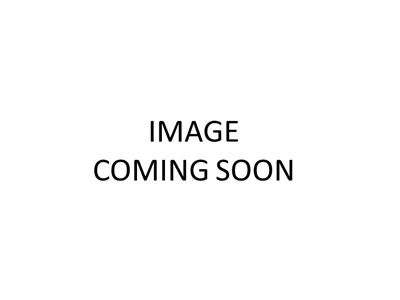 Verm-XTM is a 100% natural formulation that helps maintain all areas of intestinal hygiene whilst being gentle on the animal’s gut and digestive system. 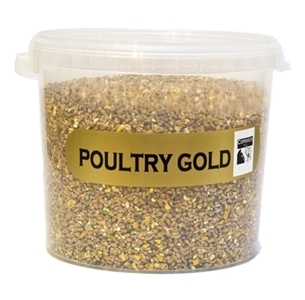 A complete feedingstuff for growing poultry from 6 weeks to finish. 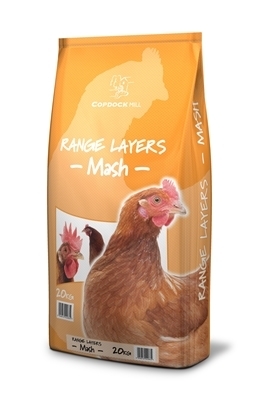 Wheat, Wheatfeed, Hipro Soya Bean Extract (GM#2), Dicalcium Phosphate, Calcium Carbonate, Vegetable Oils, Blended Vegetable Oil, Sodium Chloride, Dl-Methionine, Duck/Game/Turkey Supplement. (GM#2) produced from genetically modified material, vegetable oil contains BHA and ethoxyquin as antioxidants. 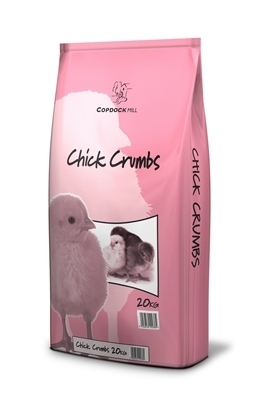 A complete feedingstuff for feeding to chicks. 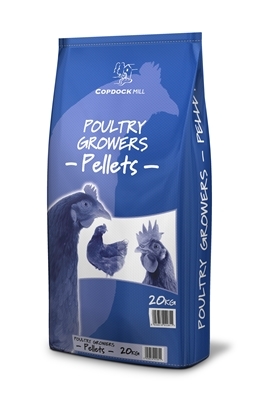 Wheat, Wheatfeed, Hipro Soya Bean Extract (produced from GM soya), Vitamin E Premix, Dl-Methionine, Sodium Bicarbonate, Full Fat Soya, Maize Flake Screenings, Sulphite Lie, Dical, Soya Oil, Limestone, Salt, Eimericox (Plant Extracts & Oils), Vits & Mins. 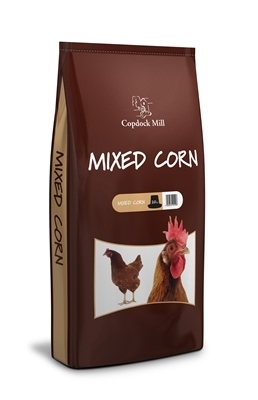 Mixed Corn is perfect for keeping your hens happy with a simple mix of wheat and cut maize. 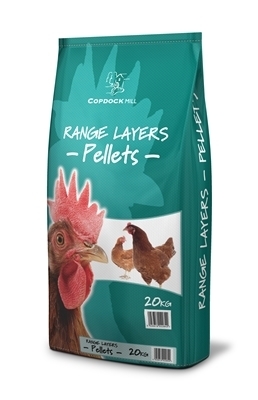 To maintain a balanced diet ideally feed a handful per hen (about 20g) in the afternoon following a breakfast of Copdock Mill Range Layers Pellets in the morning. Wheat, Cut Maize, Linseed Seed, Pease, Hen Grit, Oyster Shell, Hipro Soyabeen Extract, Limestone Granules, Sunflower Extract, Wheatfeed, Dicalcium Phosphate, Salt, DL-Methionine, Layers Supplement (DSM), Oil.